Born in Macon, Georgia, Luke Askew made his film debut in Otto Preminger's bloated epic Hurry Sundown (1967), but got noticed as "Boss Sam" the sadistic prison guard in Cool Hand Luke that same year. It was his role as the stranger on the highway in Easy Rider (1969) which truly gave him recognition. 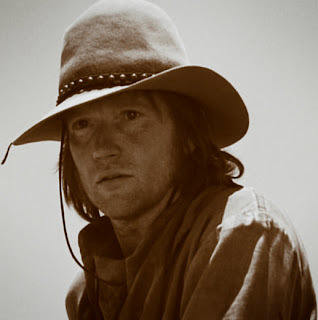 Luke Askew was a staple of 1970's cinema, especially in westerns, where he is seen in such key "revisionist" films of the decade as Pat Garrett and Billy The Kid (1973), Posse (1975), and especially in the scruffy, batty Jesse James epic The Great Northfield Minnesota Raid (1972) (where his character uses a rodent's tail for a mustache). Another notable genre effort is the extraordinary The Culpepper Cattle Company (1972), in which for a change, familiar character players such as he were the stars. In the decade he also appeared in Part 2 Walking Tall (1975), Wanda Nevada (1979) (with his Easy Rider co-star Peter Fonda), and especially as the guy who maims William Devane in the revenge thriller Rolling Thunder (1977). He also had rare leads in the spaghetti western Night of the Serpent (1969), and as a reclusive DJ in Canada's own Slipstream (1973). While his career was most consistent in the 1970s, Luke Askew continued working sporadically, even appearing in recent years on the TV series "Big Love". But for me, perhaps the most synonymous Luke Askew performance is in The Magnificent Seven Ride! (1972), not only because this film played incessantly during Saturday afternoons when I was a teenager. As "Smiling" Skinner, the ruthless killer who is given amnesty from prison to aid in saving a Mexican town from bandidos, Luke Askew was great to watch as a man whose smile masked his ruthlessness- there was something oddly likable about Skinner, as he often injected his situation with humour. That to me is the typical Luke Askew performance: finding a shred of humanity in even the most unlikely of people.